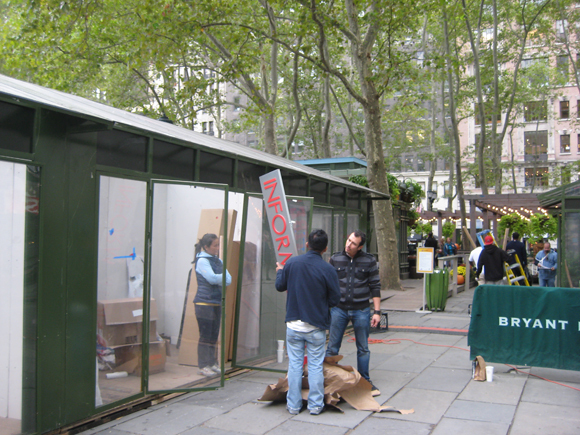 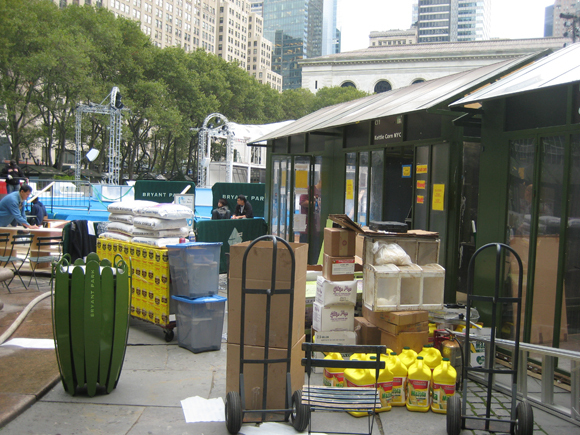 It may not look pretty right now, but tomorrow is opening day for The Holiday Shops at Bryant Park. 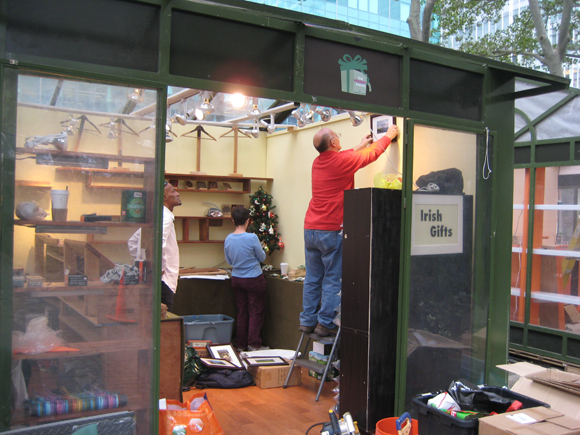 The vendors have spent the last week preparing their shops for the season. 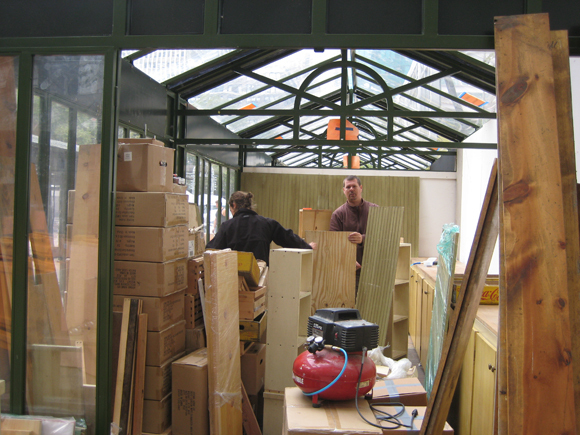 They start with a blank canvas, and go through a rather rigorous acceptance process to make sure their store design and product variety are up to park standards. 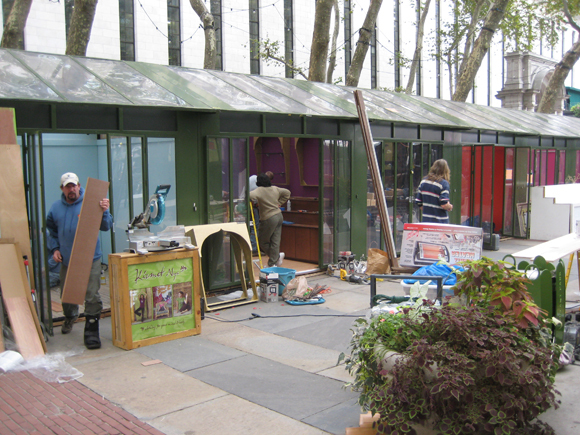 By the time they get to the park, they're prepared with paint, power tools and furniture to outfit their seasonal boutiques. 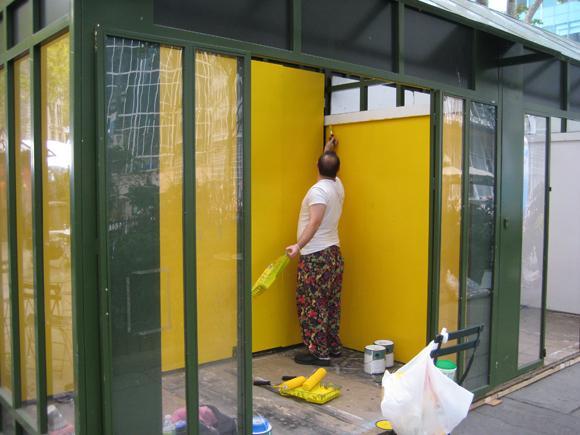 Click through to get an idea of the work that goes into their designs, and see if you can guess what these shops will become!